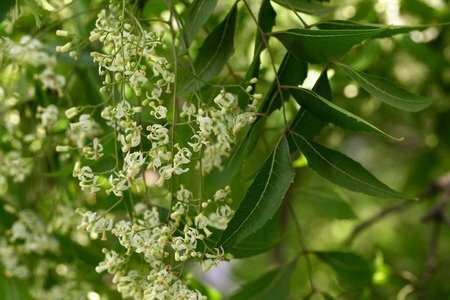 Self Cure Remedy details of Apply neem (Indian lilac) paste for the care and relief of Acne, including effectiveness and popularity scores of the remedy. Neem leaves contain quercetin which reduces inflmmation and redness caused by acne and keeps the skin cool and soothed. If you have fresh neem leaves, just crush some leaves and apply the paste to the affected area directly. Leave the application on overnight and wash it off with warm water the next morning. If you need to use neem oil, you should dilute it and do a test on your arm to make sure the concerntration level will not irritate your skin first. The self cure remedy of Apply neem (Indian lilac) paste for the care and relief of Acne has a popularity score of 0 on the self-cure system.